Sikkim, as we know, is a landlocked state, with the capital being Gangtok. 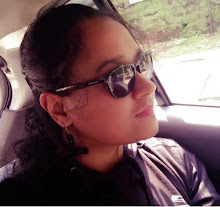 I have been to Gangtok previously but never had the chance to take a trip. Although for me it was a weekend getaway, this can very well be a relaxing short break too. It is suggested that you reach Gangtok first and from there get a local sightseeing package. For a whole day trip they would charge 1800 for small vehicle. And yes, start early. 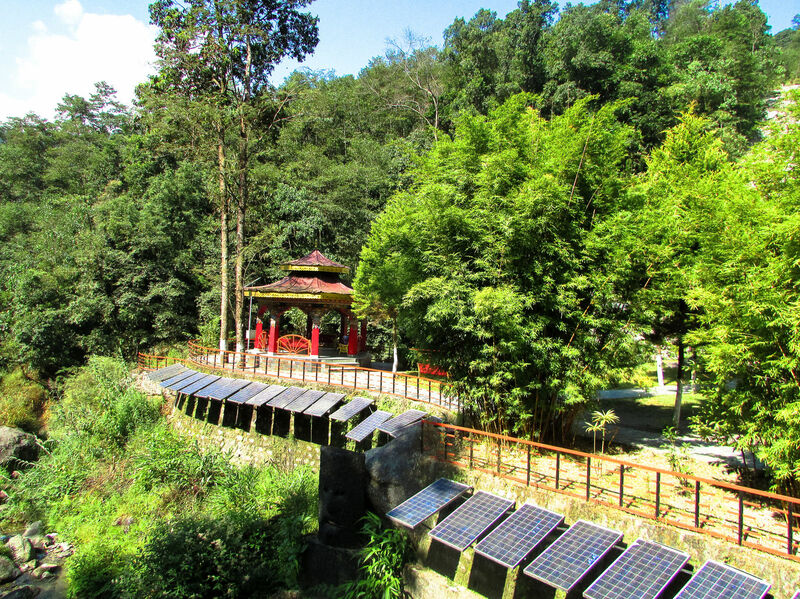 The first to be visited is Saramsa garden; it is towards Pakyong and is a well maintained park. It is a perfect example of gardening. 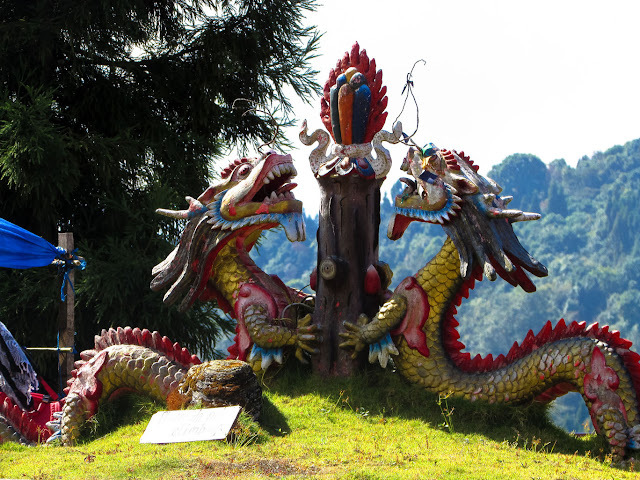 Many garden sculptures are made out of different vegetables; all-in-all a nature themed park. It also holds a convention centre and cafeteria. There is also a showcasing of vegetables from all four districts of Sikkim. It opens at 10 am. 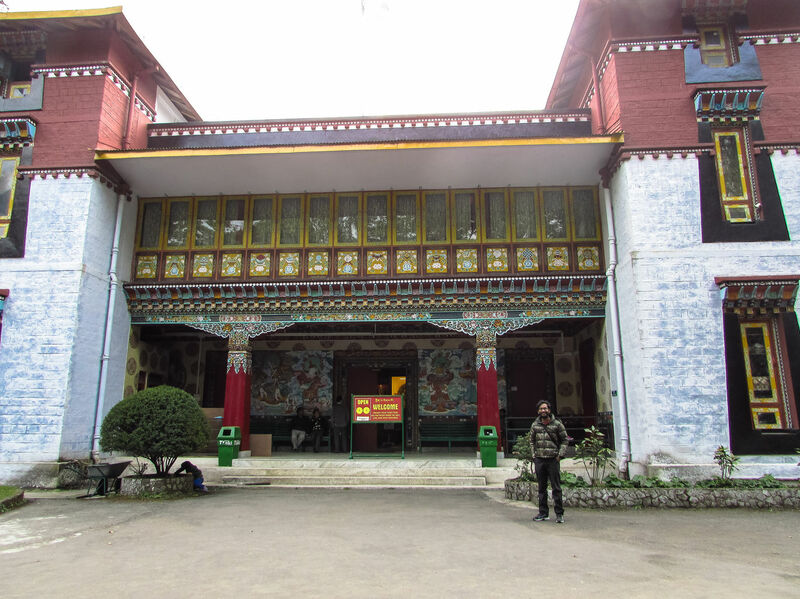 Rumtek Monastery is said to be one of the oldest monasteries in Sikkim. It has a large campus along with a training institute. It’s more of like Tibetan residential school and the dress code is of lamas. As for the location, the car will leave you at the gate wherefrom you need to walk-on uphill along the prayer wheels. There are quite a few articraft shops in between with merchandise of affordable price. Visit Ranka Monastery next, it is on the way to Banjhakri Falls (Ranka). Surrounded by mountains, this colourful monastery is vivid besides being quintessential. 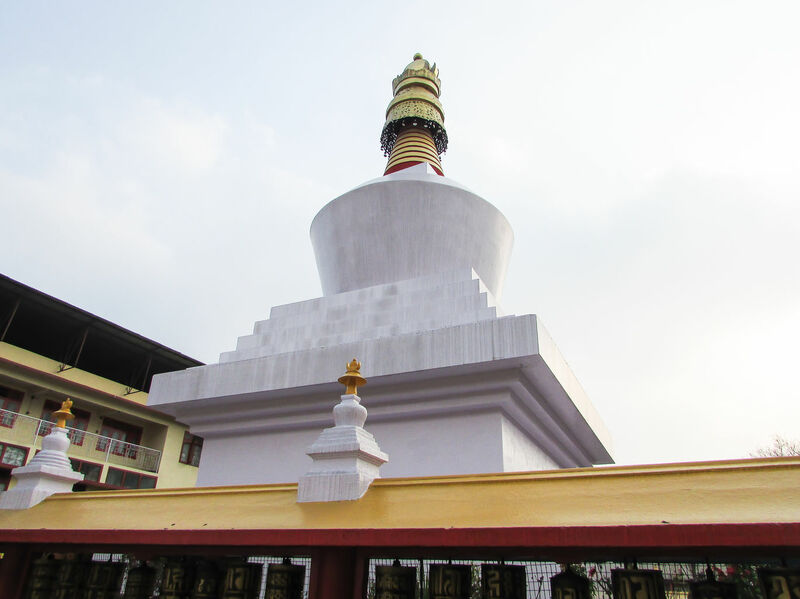 It is said that the entire range of Kanchendzonga is visible from here, however we were not lucky enough. The aura of the place will simply etch it onto your mind. In case you are hungry, the cafeteria on the terrace will be a relief to your appetite. Ranka is also known as the adventure spot of Sikkim, as it is the place hosting the paragliding. 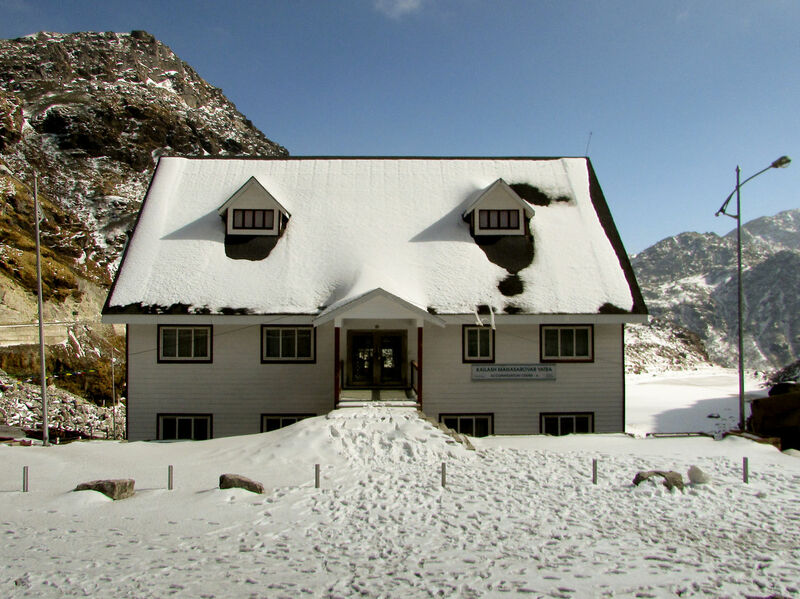 Fly Sikkim Adventure is having its office here. Although the flying ground is a little uphill, the landing ground is nearby. So on the way to Banjhakri, you can give this a try. In total, you need to deliver 1 hr of your schedule here. 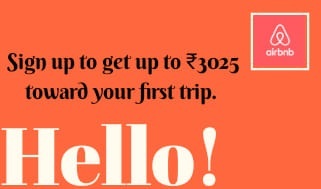 Medium height fly is for 5-10min with INR 2500 as the charges and an extra INR 500 for GoPro. 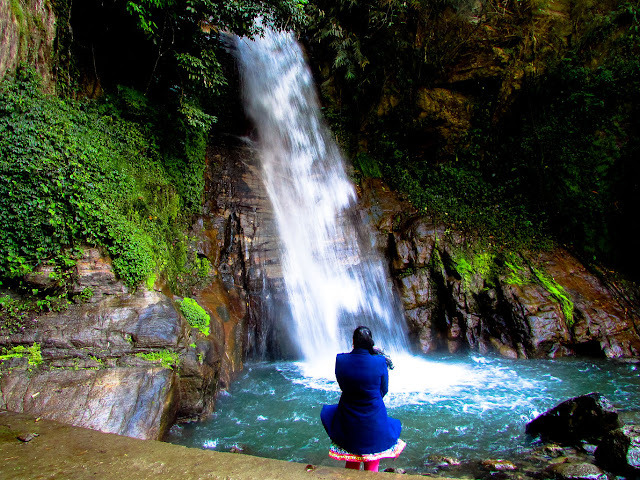 Banjhakri Falls and Park is purely dedicated to conservation of energy and nature. A micro hydel plant is set up here and lots of solar panels are here exemplifying the energy conservation. The central attraction is the falls here. 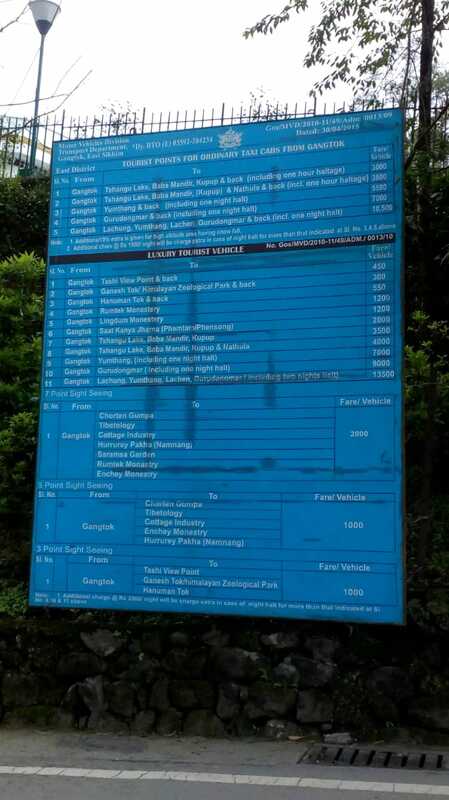 The park has all amenities like cafeteria and also holds activities like tree walking. 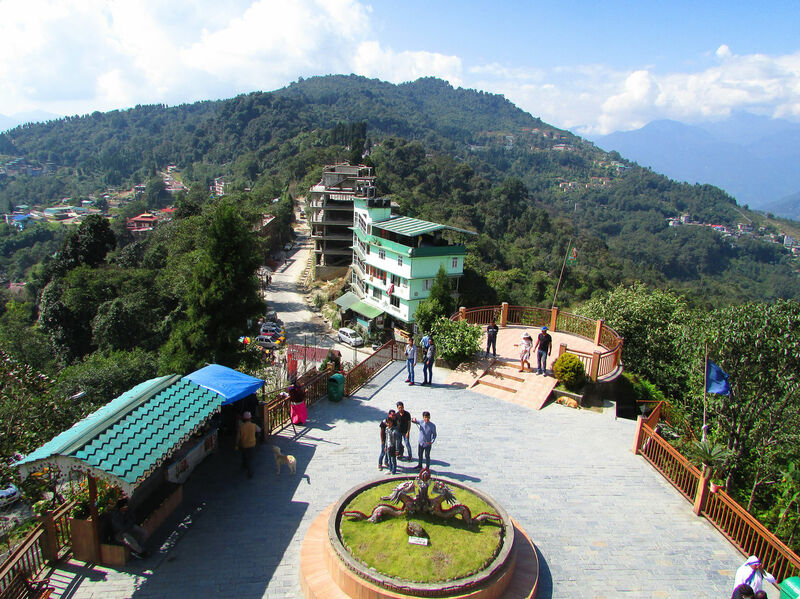 Hanuman Tok is a well maintained Hindu temple with a magnificent view from the neat and clean temple premises; you can have one or two cup of tea here to give you the boost in the cold. 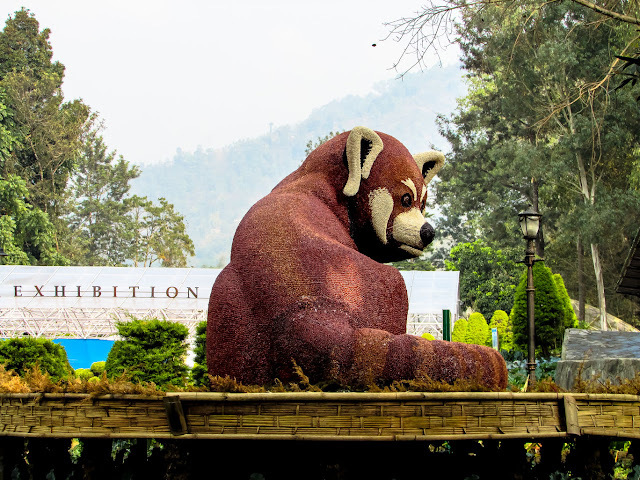 Sikkim Himalayan Zoo is located just opposite to Ganesh Tok. The closing time is 4.00 pm. So you can have a quick trek through the zoo and then visit Ganesh Tok. 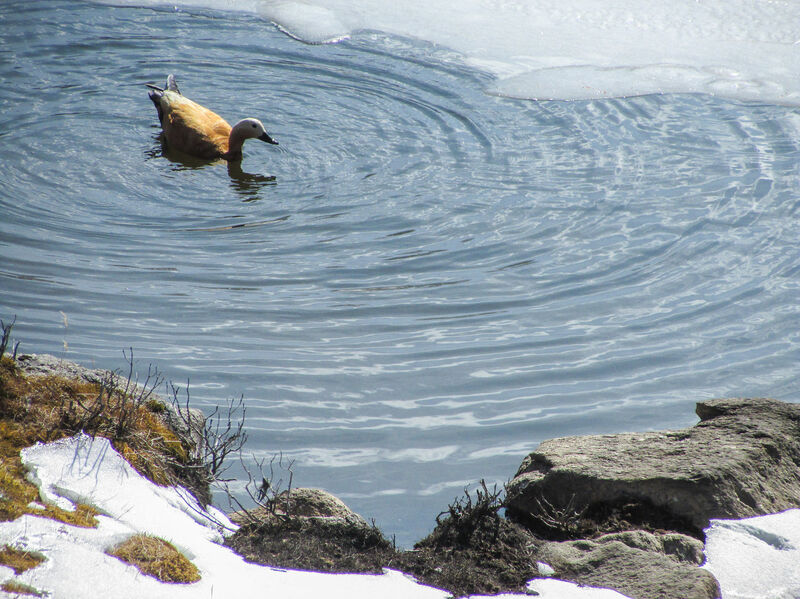 It has a varied fauna comprising of red panda and snow leopard as its main attractions. Ganesh Tok is another temple dedicated to Lord Ganesha; it has a number of souvenir shops and teashop. Local dressing is also available here for INR 50 right at the doorsteps of the temple. 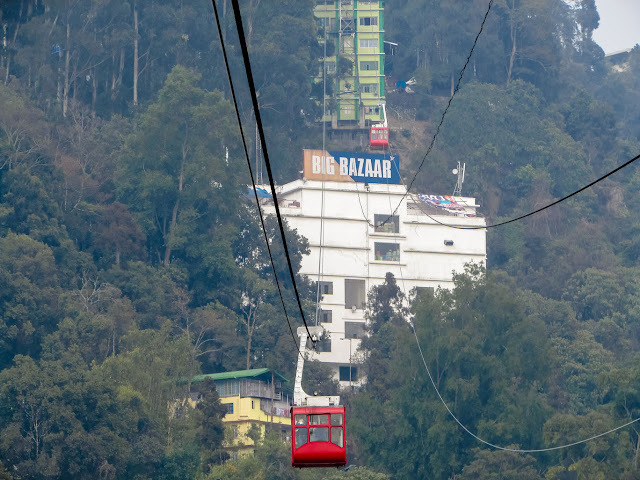 Leave your taxi here for the day and go for the ropeway at the Deorali More, get the tickets and hop in. Though the tickets are for a to and fro journey, get down at the M. G. Marg stop and walk down to the Mal and enjoy your evening at the lit up marketplace. The evening could be well spent in the M. G. Marg. Unlike other parts of Sikkim, M. G. Marg is a busy one even in the evening. You can have a stroll here, or be seated on the walkway benches, or get into a urbane café and have your lone time. In all ways the time is bound to be well spent. 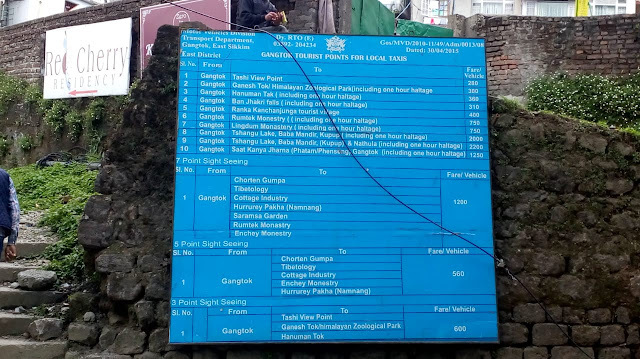 Next day hire a taxi for visiting Nathula, the charge is 3500 for small vehicle. Provide all the necessary documents to the driver on the preceding day so that he can get the permits in time. 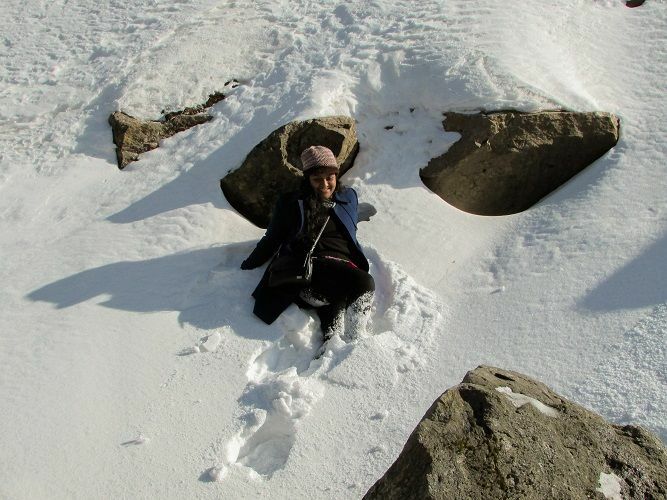 Get out early in the morning to have a sunrise view at Tashi view point and head for Nathula. 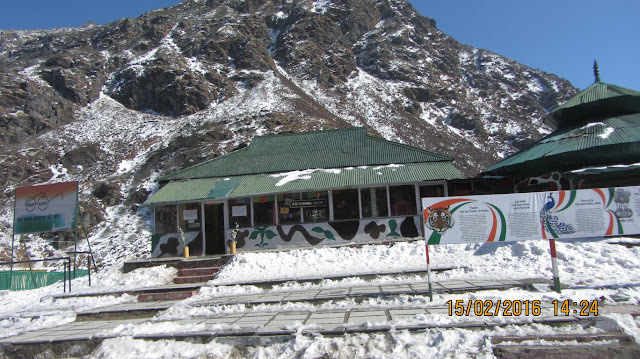 The Tashi View Point is right on the way to Nathula; it is known for sunrise. It has a shop tower above which there is a resting area from where the view of the valley is resplendent. The Kanchenjunga range is visible here provided the day is not cloudy which was in our case. Off to Nathu La. On the way you would find snow. Well that's the first sight of it. The road abuts through the sloping retaining walls topped with snow; baked cake with cream toppings. The road way skirting through the snow. 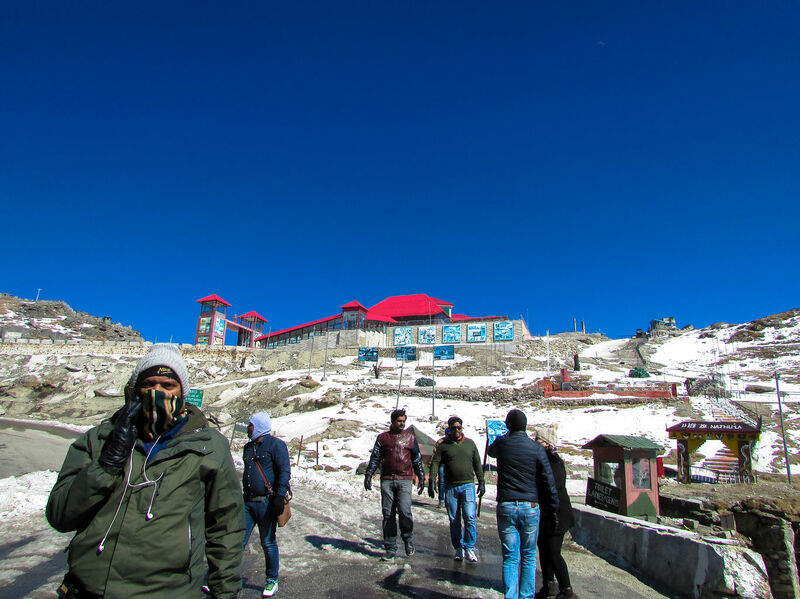 Since photography is not allowed as it is a vulnerable border area (Indo- China border), you get only one picture. The wind is strong here and there might be a little breathing problem. Walk slowly to the top if you feel out of breath. Next visit was to Baba Mandir. This is indeed a place which would give goosebumps and this is no normal temple. The temple is in memory of an Indian Soldier named Harbhajan Singh. This is the new temple though, the old temple is on the way to Kupup. Return journey was on the same way through Changu Lake. 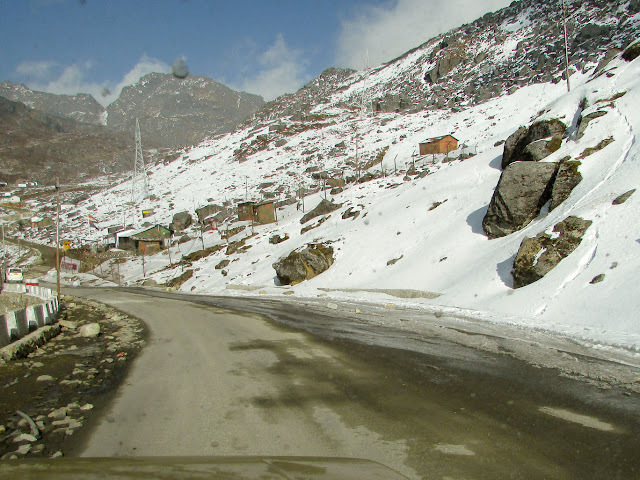 On the way to Changu we had a little snow play by the roadside. 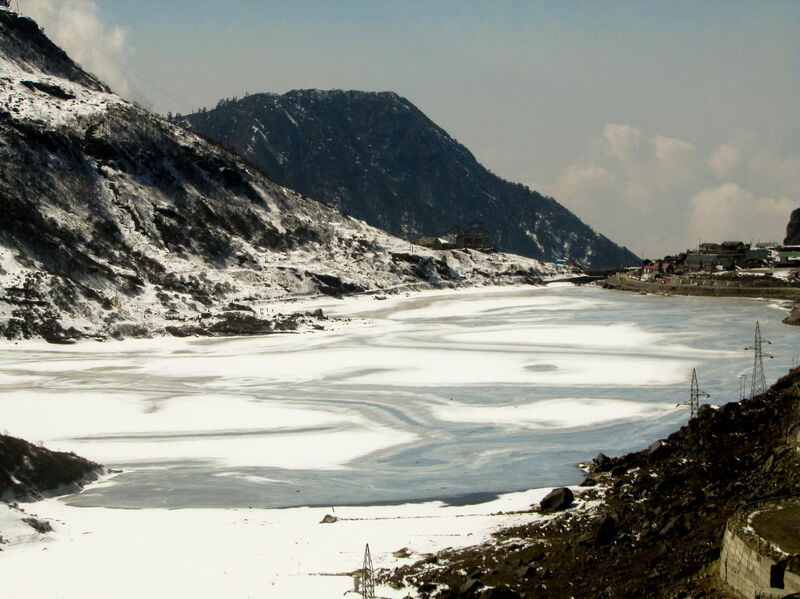 Tsomgo or Changu Lake was frozen when we visited (February). 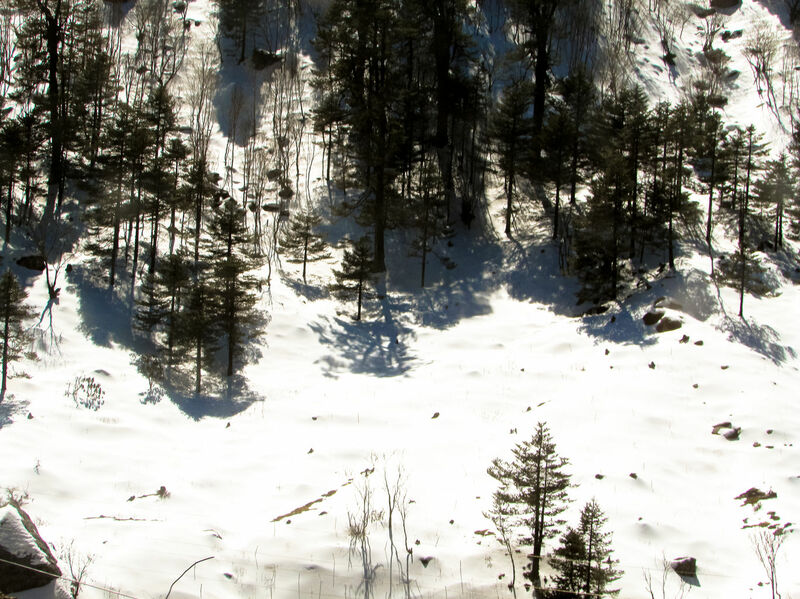 The snow clad mountain and the frozen lake is worth the trip. Yak rides are available here for INR500. Watch out your steps here, every chance is there to fall; at places it’s quite slippery. 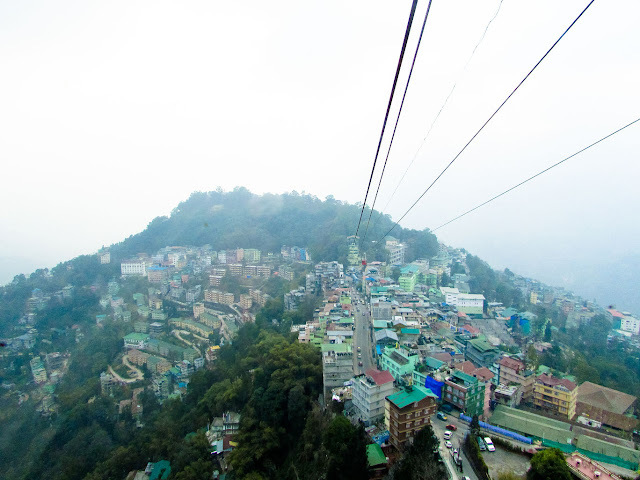 The trip ends with the drop at Gangtok in the evening. It has been in my bucket-list for a while. Your post reinforced my motivation for a future trip.